Leave the cities and freeways behind. Escape to the solitude offered by the Channel Islands in the middle of the ocean barely an hour's boat ride from the coast across the Santa Barbara Channel. With seagulls criscrossing the sky, feel the ocean breeze and the ocean sprays on your face. I wish that I could be in the water swimming with the dolphins but to see them race the boat surging through the waves is pure bliss. The Channel Islands offers visitors an appreciation of how California probably was before the arrival of the first natives. The islands offer unparalled views of the mainland and the island chain from atop its bluffs. Hiking is the best way to explore the islands and kayaking or boating the best way to experience the ocean. I guess scuba divers get another view of the ocean, a view we, who stay above water, can only vicariously enjoy. Whales are a rare visual treat along California's coast at certain times of the year. California grays, blue whales and humpbacks pass the Channel Islands as they migrate south to breed in the lagoons off Mexico and when they return to their feeding grounds. They feed for three to four months in the krill-rich waters of the Arctic and the Antarctic. They then travel south where the female whales give birth in warm tropical waters that keep the young warm when they still have only a thin layer of blubber. With the young calves, and the mother whales suckling them, they then return to their feeding grounds. 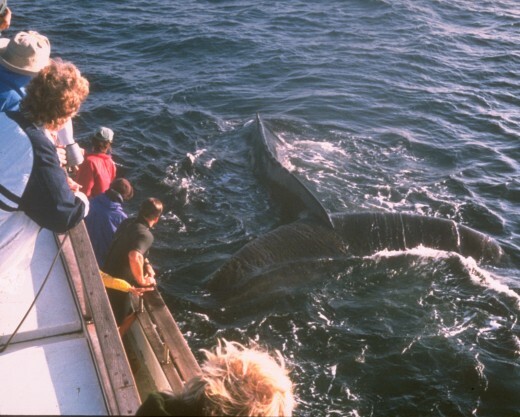 Commercial tour operators will be on the lookout for whales and will happily offer its passengers a closer view. 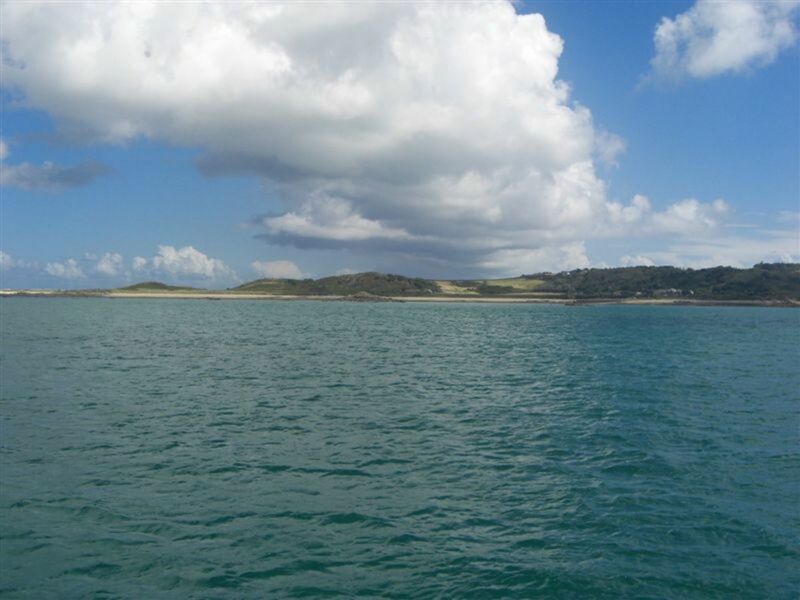 The Channel Islands National Park covers five of the eight Channel Islands. 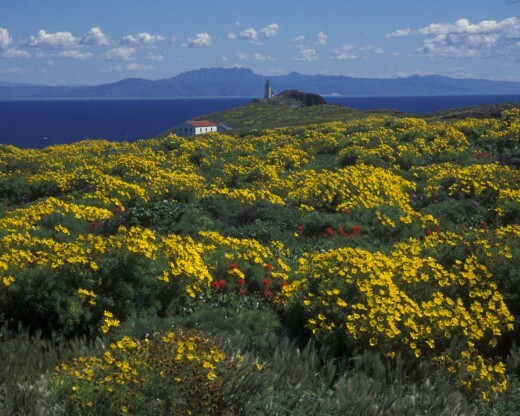 The five islands managed by the National Park Service are Anacapa, Santa Cruz, Santa Rosa, San Miguel, and Santa Barbara. Many endangered species of plants and animals like the Island Foxes which are the smallest North American canids are found only in the Channel Islands. Six miles from the pelagic edge of each island is an aquatic reserve called The Channel Islands National Marine Sanctuary. The oldest dated human remains in North America, the Arlington Springs Woman (13,000 BP), was discovered in these islands. To gather information on the current condition of resources and predict future conditions, the National Park Service established a long-term ecological monitoring program. They also seek to conserve and restore the islands' rich human history and ecology. This lofty mission sets aside many parts of the islands for limited access or supervised access, however, there are still enough areas set aside for visitor enjoyment and recreation. The park can be accessed by foot, boat and by plane. The best source of information to explore the islands is the U. S. National Parks Service and some useful links are shown in this article. The trails in Santa Cruz range from maintained to rugged, flat and hilly. Trails criscross the island and run along the bluff offering amazing views of the ocean below with its coves, caves and rocks. 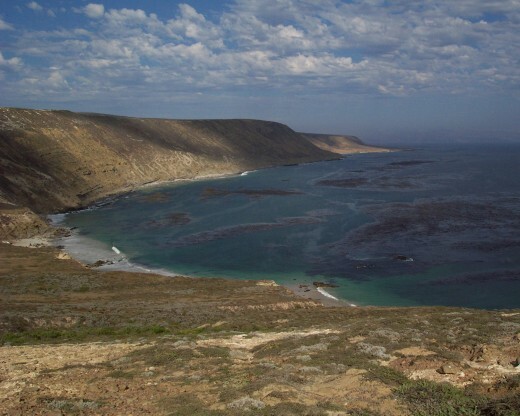 Santa Cruz Island is managed by the National Parks Service and The Nature Conservancy. Hiking is allowed in National Parks Service property but not inside The Nature Conservancy property. The National Parks Service website gives detailed instructions for the use of boats to access the islands. Camping in Santa Cruz Island, and on the other islands, is primitive. On Santa Cruz there is running water and public restrooms. You have to check with the National Parks Service for detailed camping information. Anacapa is the most visited of the islands. It is closest to the mainland and a one-day trip would be enough to see wildlife and native plants while strolling along designated paths. Anacapa is maintained strictly. I could even describe it as an island museum. Enjoy the video uploaded on YouTube by JLKentosh which shows an exciting exhibition of wildlife in Anacapa. In addition to its natural wonders, there is the Anacapa Island Lighthouse which was built to prevent further shipwrecks along the channel. Navigating along California's coast can be treacherous because of dense fog. The Winfield Scott shipwreck is still visible along Anacapa's coast. 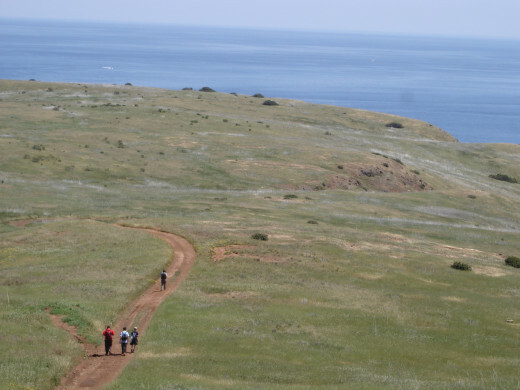 Please read the National Park Service's information on access to Anacapa. There are a few hurdles to get through like climbing out of the boat and climbing a series of stairs to reach the top of the island bluff. Santa Barbara, a cliff island, is the smallest of the islands. It has six miles of scenic trails. One can visit for the day or camp a minimum of three days, Friday to Sunday. It is ideal for swimming, snorkeling, diving, kayaking and fishing. Access to water is only at the landing cove. There are no beaches. It is a great place to see wildflowers in the spring. 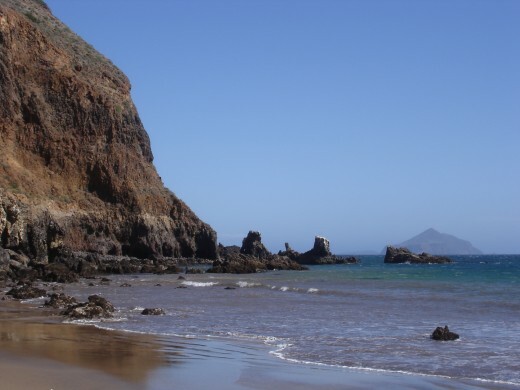 The westernmost island is San Miguel Island. Somewhat too windy usually for camping although for brave campers, a minimum stay of three days (Friday to Sunday) is allowed. The 9,500-acre island is primarily a plateau about 500 feet in elevation with two 800-foot rounded hills. Hiking is limited to a small area along the 2-mile long Cuyler Harbor beach and a 1-mile trail to the ranger station. To see other parts of the island, one must go with a ranger. Because of strong winds, swimming, snorkeling, diving, and kayaking are limited and recommended for the experienced. Santa Rosa is also a windy island. Because of strong winds, swimming, snorkeling, diving, and kayaking are recommended for only the experienced. For the hiker, there are 54,000 acres of rugged peaks, magnificent canyons and beautiful beaches. You can visit for the day. Overnight camping has a minimum stay of three days, Friday to Sunday. 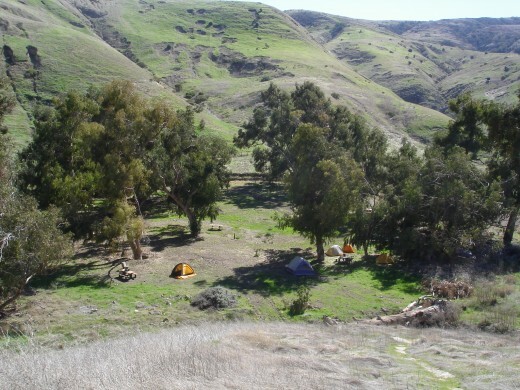 Backcountry beach camping is available during certain times of the year. Winds and seas are often calm in the early morning. August through October has the calmest winds and sea conditions. My personal experience in the Channel Islands were in the spring and the weather varied considerably from calm winds and seas to strong winds, rain and rough seas. Weather temperature ranged from cool and cold to hot. The sun's rays on clear days will be strong even in the coldest weather. Nothing to be concerned about if one is prepared with the proper clothing and equipment. But, please, do listen to warnings and advice by the National Park Service Rangers and the professional outfitters that provide transportation and recreational equipment. There are special instructions for safe boating, kayaking and diving in the National Park Service website. Forty-knot winds are not unusual for Santa Rosa and San Miguel Islands. Anacapa and Santa Barbara Islands have more moderate winds. Being on an island in the middle of the ocean, expect strong winds. Boaters and kayakers must take extra care because of rough seas, ocean currents, crowded shipping lanes, dense fog and strong winds. There are two Channel Islands Visitors Centers and these are in Santa Barbara and Ventura. Outdoor Santa Barbara Visitor Center is located in the Santa Barbara Harbor in Santa Barbara. Santa Barbara is 100 miles north of Los Angeles and 30 miles north of Ventura. The Robert J. Lagomarsino Visitor Center at Channel Islands National Park is located in Ventura Harbor in Ventura. Ventura is located 70 miles north of Los Angeles and 30 miles south of Santa Barbara. The visitor centers are accessible by public and private transportation. The visitors centers are approximately 1 hour to 1 1/2 hours drive from Los Angeles. 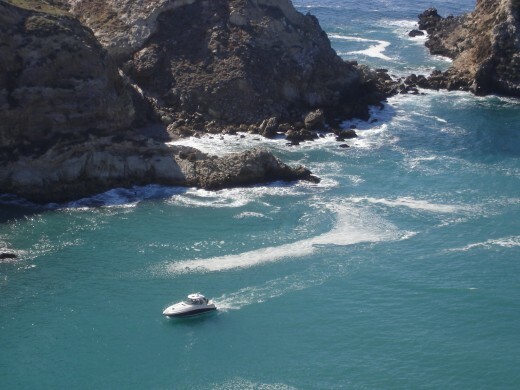 The Channel Islands can only be reached by plane or by boat. 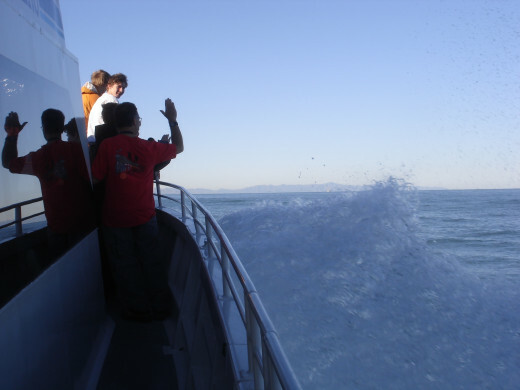 The islands are only accessible by private boats or park concessionaire boats and planes from Santa Barbara and Oxnard. The main office for Island Packers, the park's concessionaire for boats, is located in Ventura Harbor. Channel Islands Aviation, the park's concessionaire for planes, is located in the Camarillo Airport in Camarillo. Camarillo is located 86 miles north of Los Angeles and 14 miles south of Ventura. 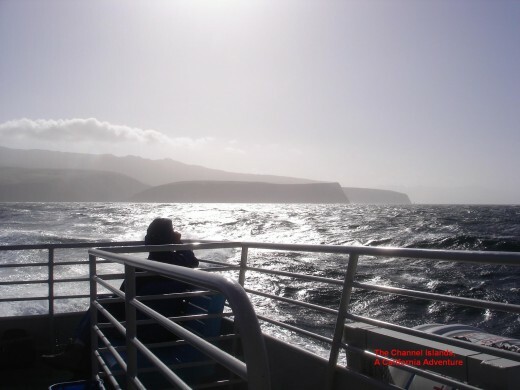 Getting on and off the boats in the islands can be difficult especially during windy days and rough seas. Besides walking on a boat that sways with the ocean's waves, some docks are accessed by climbing vertical ladders. The boat hands however are skilled in helping everyone get on and off the boat. There are no entrance fees charged to visit the park. However, a $15.00 per night-per site reservation fee is charged for camping on the islands. I came across the following Hubs which will give more insights on how to appreciate and enjoy the Channel Islands. Here is the list of Hubs. Leaving the mainland behind and going forward towards open seas excited my whole being with anticipation. Schools of dolphins swam and jumped while they tried to race the boat. Birds flew along. Ocean spray hit my face. As the boat surged through the waves, the islands loomed larger by the minute. And then the boat docked. The engines churned ever loudly as the boat tried to remain steady. Passengers tried to maintain their balance on the boat. I clambered up the ladder to the dock. And then... I was on the dock walking towards the island! After a few minutes of letting people off, the boat left. The excitement died down. I trudged along with my backpack to the campsite. It was quiet. I heard birds. I heard animal sounds but I didn't see them at first. Upon reaching the campsite, well, I had to do housekeeping - setting up the tent and preparing dinner. After a few minutes of rest, it was time to hike. With my hiking boots on and my poles, off I was to walk along the bluff, stare at the sea, listen to the birds, feel the ocean breeze and the sunshine. I saw nothing for miles except wild grass, wild flowers, the ocean and the islands and rocks buffeted by the surf. I walked along the water. I saw large star fishes. Huge ones. I hiked inland. I saw an island fox looking suspiciously at me. I ignored him. Back to the campsite to put up my feet, I read a book. Took a nap. Late afternoon, the winds blew and blew. It was cold and I opted for a quick dinner. I escaped to my tent while it groaned. It was cold. Morning came. Coffee. Breakfast. Another long hike. The winds rested on the second night. I had a good sleep. The following morning, I packed. I took a short hike along the bluff and waited for the boat to bring me back. By the time the boat arrived, gray clouds were overhead and the wind picked up. The boat revved up its engines even stronger to maintain its position to receive the passengers. I put on my rain jacket and rain pants. While everyone else enjoyed the warmth of the cabin, I sat outside. A few minutes after the boat sped off, the captain sighted whales! The passengers ran everywhere for the best possible views. The captain announced that he would try to get closer to the whales. Wow! I felt like I was part of Captain Ahab's crew as the boat went for that closer view. Not too close though as the ocean was rough and the boat could hurt the whale. I saw the whale as it swam in and out of the ocean spewing air and water in the air. It was pure excitement! Leaving the islands, the wind tossed the waves wildly. I stayed on deck. My waterproof jacket and pants were mercilessly sprayed with water. My clothes remained dry but my face and hands were wet. As Ventura came into view, I slowly eased back to civilization. I just had a great weekend away from it all and am quite happy. Thanks, Peggy, for the votes and the link. The Channel Islands are so near Los Angeles and yet seems so far away. What an amazing place to visit! It would be a dream come true to visit such an unspoiled (by humans) spot on earth. I have given this an up, useful and interesting vote plus am adding it as a link to the hub I just published regarding the 8 national parks in California. This one and Lassen are the only two that I have not yet seen...but with hubs like this, at least I have some idea of what there is to do and see. Thanks! Sometimes it's not easy to be a tourist when we are home. California offers so much though. California hardly known by locals is right! I've been meaning to get to the channel islands for ages. This is a wonderful rundown you've done of them. Makes them seem less remote and maybe I'll just go ahead and take the step (or rather the boat) next time I go back home to California.